We are open every Thursday from 5PM and Friday from 4PM with our own draft beer, brewed right here on the premises as well as 10 other craft beers and ciders on our brand new tap wall. For the non beer drinkers there is a range of Chase Gin and Vodka as well as wine and soft drinks. We have a lounge area where you can relax, play games and listen to records and of course the taproom itself, Worcester's coolest drinking venue. If you love beer, music or just being sociable why not come down and say hello? All the cask beers we sell, we brew on the premises. Our own beers are all named after slang expressions for social events, Bash, Shindig, Bun Fight etc. We are constantly trying new recipes and therefore, most weeks, we will have a pin of something our brewer wants to let you try - if you like it enough, it will join our other regulars on the bar.  Bash is our unapologetically traditional English Bitter. The first off the rank it holds a special place in our beery hearts. Familiar, easy to drink and just the thing to sup while tutting at the newspaper. 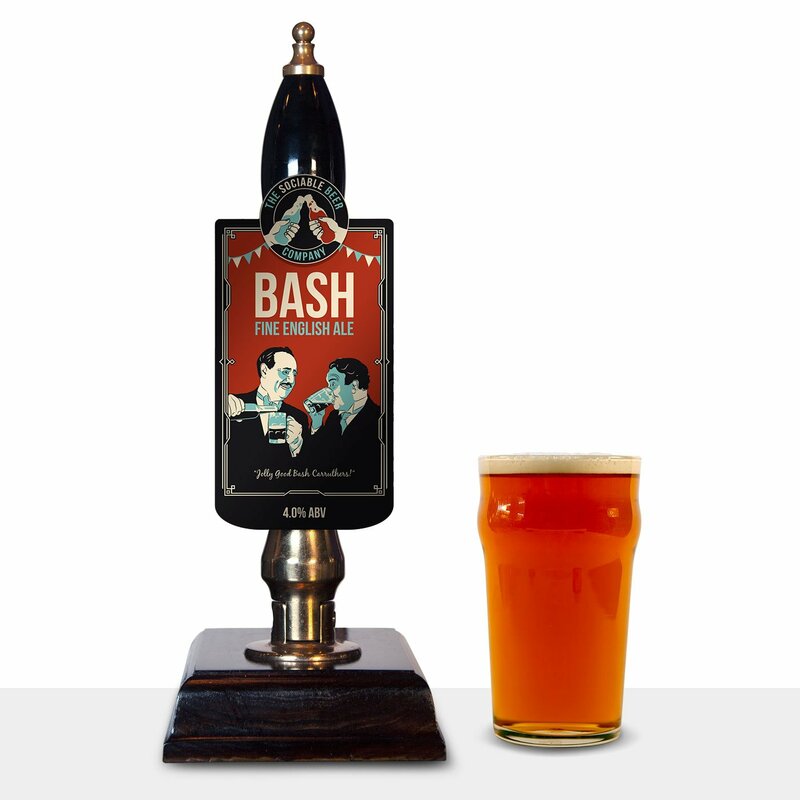 A firm favourite with our regulars Bash delivers exactly what you look for in a traditional English ale, it's refreshing, with subtle hints of pine and a dry finish. Shindig is our session ale, which, for the avoidence of doubt, means you can drink more of it before you feel the urgent need to demonstrate how to yodel. Lightly hopped and with a golden pale colour it slips down as easily as a lover's promise. We think of this as the baby sister of Wingding - they are clearly related but Shindig is just a little less brash, not quite so 'American". If you love big flavoured, characterful beers then Wingding packs a pleasant punch. Unashamedly brewed in the American style this is an IPA with some of the same swagger we have come to love from our transatlantic cousins and yet tempered by an English sense of decorum. Wingding is hoppy with a citrus aroma, lots of flavour and a lovely pale straw colour. 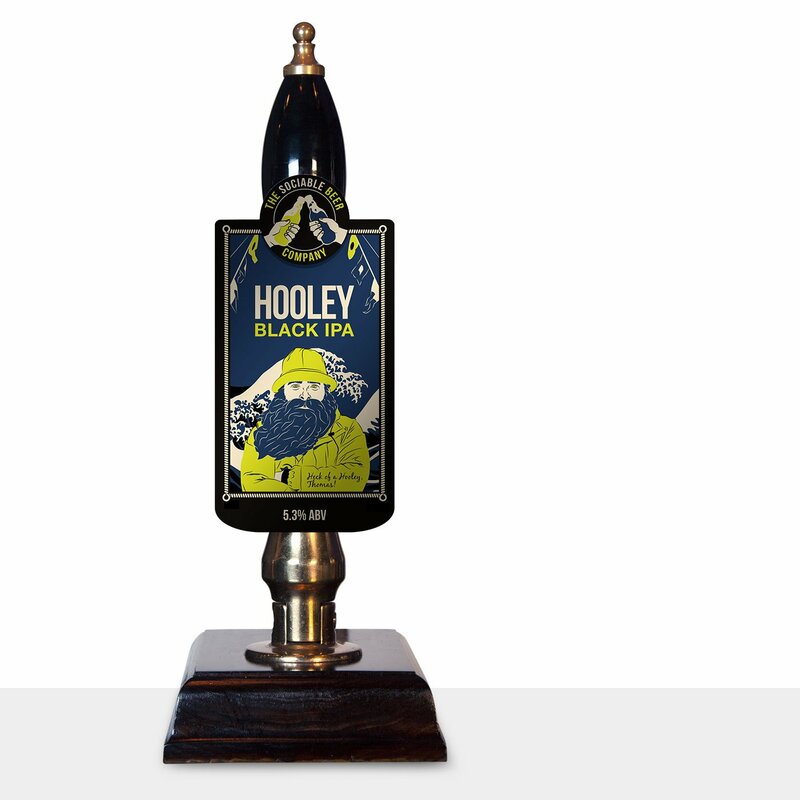 Hootenanny is our flame-haired temptress, smooth, sweet and delightfully full-bodied. 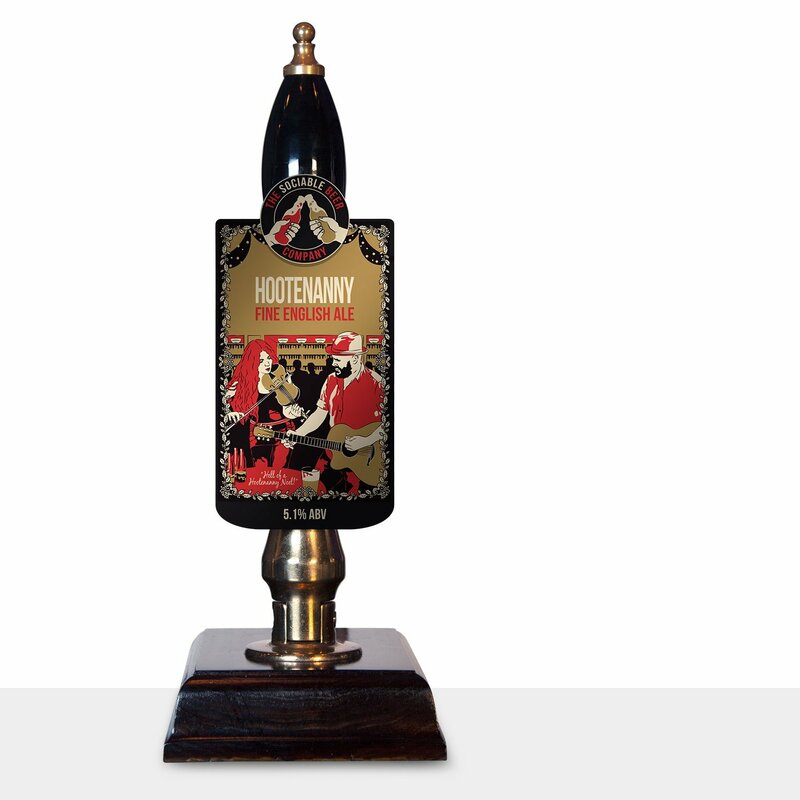 A smooth chestnut red ale with sweet notes and a well rounded flavour, Hootenanny is perfect when the nights start drawing in and the mercury starts to drop. A Hootenanny is a traditional term for any social gathering where music is played - perfect for Friday night in the brewery! When people tell us they "don't really like ale", this is the one we give them. Lovely when it's warm out, Blow Out has less bitter notes than many of our other beers - some might almost say a sweetness in the after taste. A delightful pale honey colour, this is a beer that packs a bit of a wallop, demanding respect without straying into the silly juice corner. Mandarina hops offer just the faintest hint of a tangerine taste while the Bobek offers up some floral notes in the finish. Bunfight is a lovely, rich dark, malty beer with hints of chocolate, treacle toffee and a 'mild' bitterness. Oats gives this a 'thicker' mouth feel, never a bad thing. At only 3.4% this is a smooth, easy to drink ale which puts you in mind of bonfire night, woolly hats and conkers - well it does me anyway! Some things are just meant to be together, Eggs and Bacon, Ant and Dec, Music and BEER. Every Friday night there is live music at the brewery. We think great beer and great music belong together and our customers seem to agree as we present the best bands in Worcester and beyond. Rock, Blues, Roots, Folk and even Country music bands have all graced our stage and we love them all. Check out our music page at the link below for our upcoming programme and follow us on Facebook for a timely reminder every week. We reserve Saturday nights for private parties at the brewery. Whether celebrating a significant birthday, an engagement or wedding or just getting together with a bunch of friends to be sociable, we offer one of the best value venues in the county. Accommodating up to 100 guests, we charge £150 to hire the whole venue but, hand it back if the bar take on the night exceeds £750 - and lets be honest, if it doesn't then it's not much of a party right? We offer food from our street food BBQ partners and can also recommend live music, DJs or plug in your own ipad or phone into our PA. Plastic buckets, a large metal saucepan and a supply of dry-roast peanuts were all that were needed to begin an adventure in brewing, which Steve and Jason did, sharing the (variable) results with friends and family. Three years later and with more than 80 recipes tried (and tested) they were ready to step it up a gear.